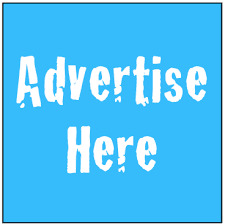 WWE Extreme Rules is the PPV where takes the rules and throws them away - insofar as we’ve got a couple of matches that could be considered “extreme rules”, a few matches that were “extreme” by PG standards and far too much in the way of extreme disappointment. The Fatal 4-Way was an absolute dream of a match, bringing the skills of Owens, Zayn and Cesaro - all still very indy influenced, but with the showmanship and professional brought of the WWE system together with the pure WWE training of The Miz (alongside Maryse, who has completely revitalised her partner). The women’s match highlighted the strengths of the women’s division, even with the Ric Flair stipulation, as Charlotte and Natalya pretty much extinguished memories of the old Diva’s era and continued to bring about the Women’s era. Roman Reigns vs AJ Styles showed how Styles continues to exist at the top of his game, able to reach for the headiest of heights and bring credibility to the much maligned Roman Reigns. The finale, with Seth Rollins making his much anticipated return, was a standout moment in the whole event. Anderson and Gallow and Rusev, in their matches, were superb. The Asylum match, which was a ponderous affair that could have been a true showstealer, especially with Ambrose and Jericho throwing their all into it. Sadly, the paint-by-numbers approach to weaponry showed how far away WWE are from doing this type of thing credibly - it didn’t help that it seemed to be a struggle to reach the weapons and keep the momentum going. The tag team match, for the WWE Tag Team Championship, didn’t feel particularly special, despite both teams being hugely popular. In a PPV environment, especially one with this name, it should have been bigger, bolder and more eventful, but felt like a filler, disappointingly. Extreme Rules, overall, had the feeling of a missed opportunity - a chance to push the boundaries in terms of “extreme” or surprising, yet managed to feel just above ordinary. With the WWE card now featuring some of the best “outside” talents, including many who have spent years on the independent circuit, this was an ideal opportunity for these people to showcase their talents - it didn’t need to be blood and gore, just more brutal, yet it fell short and felt, at times, stilted. 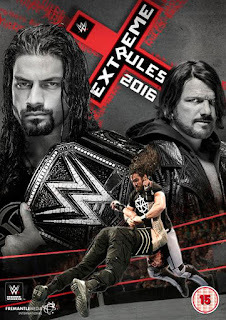 The DVD features the WWE Extreme Rules kickoff show featuring Dolph Ziggler vs Baron Corbin - a match that could have easily featured on the show itself. Corbin has huge potential as the “lone wolf” of WWE, and certainly stands out, whilst Ziggler is a member of a cadre of underrated performers that bolsters the quality of WWE’s roster without being the focus. Sound and video quality is good and the commentary team are slick, even if they occasionally fall flat. The question, for WWE DVD's, especially for their secondary PPV's like this one, will always be whether it’s worth it when the WWE Network is so readily available. While most expected it to happen, it was still the biggest news of the night as the WWE shook things up again with the WWE Draft. Finn Bálor went 5th overall in a pretty exciting first round in the 2016 WWE Draft, Finn went before some established WWE Superstars such as John Cena, Brock Lesnar, Roman Reigns, Randy Orton and The WWE World Tag Team Champions The New Day, what surprised my most wasn't that Bálor a former 3 time IWGP Jr Heavyweight was drafted it was with what pick. Bálor has shown since joining the WWE in May 2014 that not only does he have a unique look and ring style, it's that he can continue to improve in every aspect of being a sports entertainer, once Finn joined WWE's developmental NXT it was obvious to most that he didn't need to improve much inside the ring, infact as shown on his WWE Network special, close friend Matt Bloom (head coach in NXT) confirmed that the WWE didn't need to improve his in ring work, if like myself you've watch Finn as Prince Devitt in NJPW or anywhere across Europe you'd of expected his ring work to be some of the best the WWE has, my initial thought was that Bálor might struggle with his promo work, now as any followers to my twitter will know, I'm a Pro Wrestling fan, I want a storyline to follow, some unique look, mixed with great inring work, the promo/mic skills doesn't really matter to me unless you're on commentary. Where I believe developmental has helped Bálor is infact with his mic skills, if you go back to when he debuted in May 2014 he seems a little awkward and maybe not too sure on what he was saying, what I think we need to understand is that in NJPW he could and mostly did say what he wanted being the leader of the Bullet Club, if you watch NJPW now you can see that the American wrestlers seem to have a licence to say and do as they please, now we all know this wasn't going to be the case with the WWE so this is where I think Finn struggled as following a script didn't seem quite him. Recently following some fantastic feuds with Samoa Joe, Kevin Owens and an extremely well built match with Shinsuke Nakamura, it really hit me that Bálor 's microphone skills has massively improved, enough so that once he moved to the main roster on promo heavy shows like Raw he wouldn't look out of place while building a storyline, I had the same doubts over AJ Styles as well, WWE and more importantly Raw is so promo heavy that hugely talented in ring workers like Styles and Bálor might struggle with the long drawn out promos, safe to say that following the 14 month stay in NXT Bálor now has all the tools ready to be an instant success on the WWE main card. Once Finn was drafted by Mick Foley and Stephanie McMahon on Tuesday night, my mind instantly started to dream up matches for him and what's likely to be in his immediate future. The Bálor Club is surely something the WWE is going to go with, before they were drafted I tweeted out saying that Gallows/Anderson is going to be on Raw and with this as a reality I can't not see the original Bullet Club reforming under the WWE umbrella. As the night continued I took a keen interest on my favourite wrestlers in Balor, Rollins, Styles, Owens and Bray Wyatt, but mostly in Finn Bálor, once the draft began to end I looked at the possibilities open to the WWE and Raw for future matches with the likes of Seth Rollins, Roman Reigns, Sami Zayn, Kevin Owens... again, Y2J, Cesaro and even the Beast himself Brock Lesnar, these are all WrestleMania matches in themselves. I truly hope the WWE give Finn Bálor the debut he deserves and build him into the mega star that he's been outside of the main roster, I don't think I've met or spoken to anyone that doesn't enjoy everything that Bálor brings to the ring with his outstanding entrances, the paintwork and he's in ring work, this is truly a once in a generation type star, Triple H has seen what this man can do in NXT and now the future of the WWE has arrived on its flagship show Monday Night Raw. The latest DVD release from WWE Home Video focuses on the life and career of one of wrestling's most iconic and controversial figures, Scott Hall, AKA 'The Bad Guy' Razor Ramon. As with most WWE documentaries, the main feature here is a well produced piece that does an excellent job of providing insight into the ups and downs of Scott's story, with interviews from his friends and family and a multitude of clips from his wrestling career. We see how a young Scott fell in love with wrestling, how he got his start in the wrestling business and how a traumatic event would haunt him for years to come. 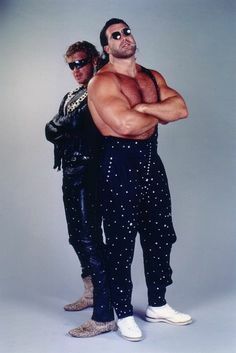 Through interviews with his peers we see the passion and drive Scott had to become a success, including a few words from the late, great Dusty Rhodes, Scott mentioning that being hired by Dusty and given his break in the wrestling business meant more to him than any pay cheque he ever received. Scott's career hit a few bumps in the road and he tells us how close he came to quitting altogether, until his close friend and former AWA tag partner 'Mr. Perfect' Curt Hennig got him an opportunity in the WWF. It paid off big time, and 'The Bad Guy' Razor Ramon was born. We chart his rise through the WWF and, ultimately, the factors that led him and Kevin Nash to hand in their notices and jump ship to WCW. Vince McMahon talks in fairly open terms about the mistakes he felt Scott & Nash made, but also saying that the biggest mistake was on him for not doing enough to keep hold of two guys who, by their own admission, would have gladly stayed in the WWF. For their part, Scott talks about how the guaranteed money offered by WCW was too good to turn down, while Vince laments the structure of his business at the time that didn't allow him to match that, as well as his regrets about attempting to replace Razor & Nash with impersonators. The documentary takes a darker turn as we hear about the addiction problems that overtook Scott's life and the effect that had on those closest to him, as well as his career before and after the collapse of WCW. This section pulls no punches, as Scott recounts his bouts in rehab and we hear from the likes of Shawn Michaels, Kevin Nash and Triple H, who talk about the effects a life on the road can have on a wrestler and the struggles they faced in trying to deal with a friend who was spiralling out of control. There's footage from Scott's most infamous indie appearance, where it seemed that his addictions had all but consumed the man he once was, but it was this footage that prompted Diamond Dallas Page and Jake the Snake to call up Scott and get him back on the road to recovery. It all wraps up on a much lighter note, as we see numerous examples of what an inspiration DDP and his program have proven to be in turning around Scott's life and getting him to tackle his problems head on. This all culminates with Scott's induction into the WWE Hall of Fame in 2014, with 'The Bad Guy' looking better than he had in years as he addressed the crowd and relished his moment back in the spotlight. Kevin Nash mentions how his own induction the following year didn't mean as much to him as Scott's did, as there were times during Scott's darkest years that Nash couldn't imagine that his friend would recover a semblance of the man he once was. Suffice to say, he was happy to be proven wrong and the documentary closes with happy scenes of Scott and his son Cody Hall, who himself is making his own way in the world of wrestling, and Scott getting to impart his valuable knowledge to the young wrestlers hard at work in the WWE Performance Center. Overall, this is one of the better documentaries I've seen from WWE Home Video as of late. It doesn't seek to gloss over the problems Scott faced in his personal life and his career, but rather frames its story around them. The opening scenes in the parking lot of an Orlando strip joint where Scott was forced to kill in self defence illustrates how Scott still has to deal with that trauma, before showing us how he got to that point, how he carried on after it and how he struggled to resolve his feelings of guilt. When the film returns to the parking lot, there's a sense of resolution and from that point on the tone becomes much more positive. It's difficult not to be touched by the way Scott has worked to put his life back on track and by the belief of those who did what they could to help him, while the dual message of not being afraid to seek help and to never stop dreaming is an uplifting note for such a comprehensive and unflinching documentary to end on. The second half of this collection starts with all the original Razor Roman vignettes, as well as some out-takes and a few stories that didn't fit in the main documentary, but the real meat of the set is in the matches and there's a wide selection of twenty three bouts curated from all the major sections of Scott's career. While there's just the one NWA match (Scott teaming with Dan Spivey as American Starship), there's a healthy selection of matches from Scott's time in the AWA, the highlight of which is a raucous AWA tag title defence for Scott & Curt Hennig at the AWA WrestleRock supershow. While these matches showcase Scott's early ability in the ring and his phenomenal look, it's not until the first WCW matches on the set that we see hints of the character he would become, as he teams with Diamond Dallas Page as the Diamond Exchange. The first big match of the set is one of my favourites from both men's careers, as Razor Ramon challenged Bret Hart for the WWF World Heavyweight Title at Royal Rumble '93. This is such a well paced match that really holds up well today, it has one of my favourite near-falls ever (backslide counter to the Razor's Edge for a huge reaction from the crowd) and a very inventive finish as an injured Hitman has to find a way to get the much larger Ramon into the Sharpshooter. That's followed by another great match from a few months later, the famous meeting between Razor Ramon and the 1-2-3 Kid which in one fell swoop made the Kid's career and set 'The Bad Guy' on a path to becoming a huge fan favourite. There's a whole bunch of intercontinental title matches, including a nice little match with the often-underrated Rick Martel. But the crown jewel of the set is the Intercontinental Title match vs Shawn Michaels from WrestleMania X in 1994, a match that is full of action and drama and one that set in stone many of the ideas that make up what a ladder match should be. Later ladder matches may have taken things a step further, but this still remains a brutal, hard-fought match that really got over the intensity and passion of both men's desire to prove who the real Intercontinental Champion really was. Razor shoulder tackling the ladder and Shawn getting crotched on the top-rope is still a jaw-dropping moment of danger and that's what is so well emphasised here: the danger both men were putting themselves in to prove themselves and to win. Rounding out the set are some matches from Scott's second stint in WCW, including a fun Outsiders vs Harlem Heat tag match, plus his matches vs The Rock and vs Stone Cold from his WWE return in 2002. In conclusion, this is a solid set for any fans of 'The Bad Guy'. The matches on offer provide a good cross-section of Scott's career, while the documentary is a well produced, well paced piece that doesn't shy away from talking about the difficulties that have beset Scott throughout his life. It was great to see the transformative process that DDP took Hall through, as well as seeing Scott get to give the gift of his knowledge to the next generation of WWE Superstars. Many wrestlers have remarked on what a great mind he has for the business, as guys like Triple H, Kevin Nash and Shawn Michaels are keen to point out on this very set, so it's great that Scott's in a place where he can impart that valuable knowledge and experience. 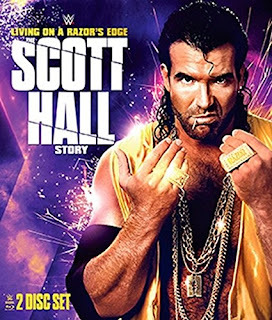 'Living on the Razor's Edge - The Scott Hall Story' is available now on DVD and Blu-Ray from WWE Home Video.